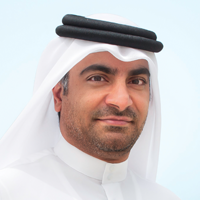 Mr. Tariq A. Aziz Al-Naama brings decisive leadership and great passion for sport to the VP position at AZF. In 2003 he served as Chair of the Founding Committee of Aspire until he was appointed Director General in March of 2008. In his first year as Director General, he led a comprehensive programme assessment and reorganisation followed by the appointment of four directors of Aspire programmes and corporate services. 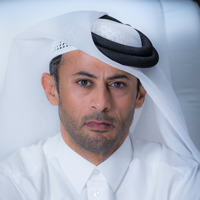 He has served in numerous sports leadership positions including as a member of the Al Ahli Sports Club Board of Directors, membership of the QFA Technical Committee, the Organising Committee for the 2006 Gulf Cup, the founding committee for the professional league and the Organising Committee for the HH the Emir and HH Heir Apparent Football Cups. 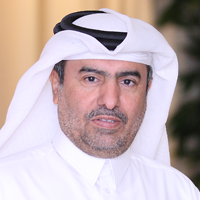 Mr. Tariq A. Aziz Al-Naama has also served as Chairman of Doha Stadium Magazine and Vice Chairman of the Qatar Olympic Committee Tenders Committee. Early in his career, he worked as a newspaper editor, teacher, sports administrator and employee of the Emiri Diwan’s Royal Protocols Department. He received his Bachelor of Science Degree in Education with a major in biology from Qatar University.